The capital of the Bahamas that it lies on the island of New Providence! The place is famous for the beaches like Blue Lagoon as well as its offshore coral reefs. What else attract the attention of the travelers here is all awesome hilly landscape, snorkeling, and diving that make it even more interesting. 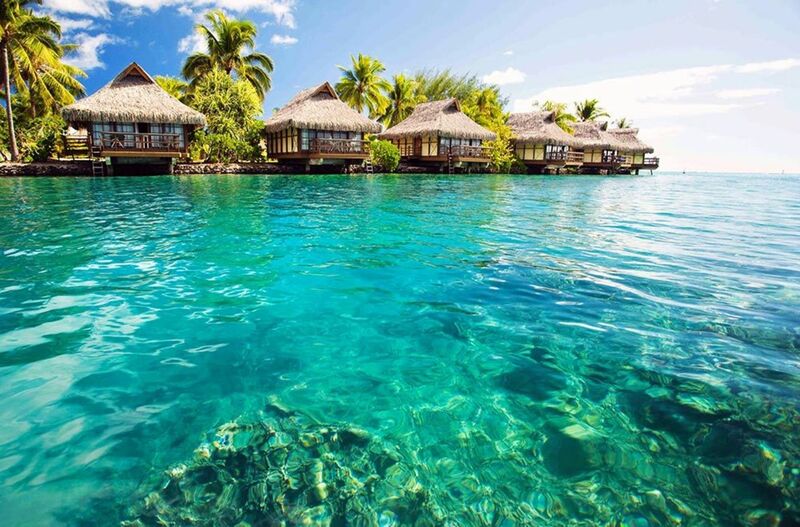 There is no chance any traveler can miss out on those superb water activities. You will get to see a lot on Nassau Paradise Island, which can be called as the home to the number of lavish resorts, luxury boats, casinos, and even extraordinary water parks, which together makes your trip better. The culture of Nassau is beyond the beaches, the place is simply vivacious and chirpy, giving new experiences to every person visiting here. Enjoy unique attractions, including the Clifton Heritage National Park, Ardastra Gardens, the National Art Gallery of the Bahamas, Pirates of Nassau Museum, the Primeval Forest National Park, Parliament Square and Fort Charlotte. Definitely, this trip to Nassau, Bahamas is going to be your best trip ever! Stingray City Park is just a short boat ride from Nassau. Swimming with stingrays is a marvelous adventure for the whole family. Children will definitely love it. Stingrays are absolutely safe to swim with as long as you don’t decide to attack them. An instructor provides tips on how to behave in the water. 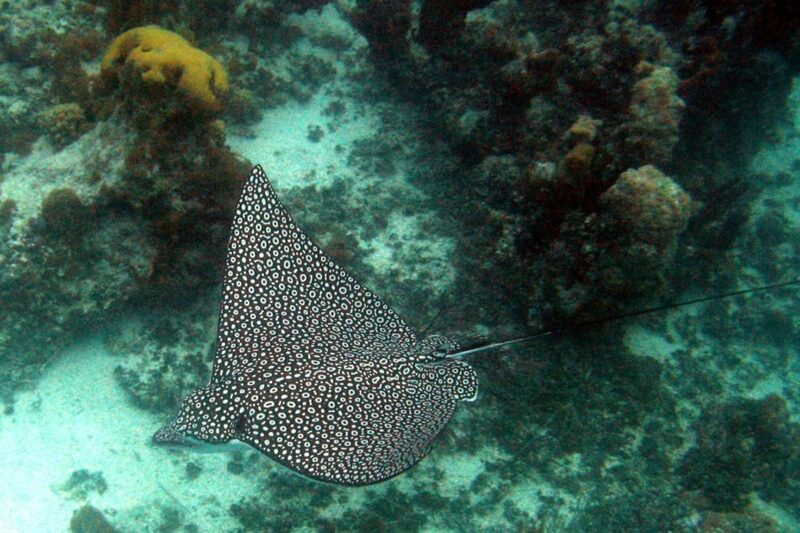 Take stunning pictures while snorkeling with the stingrays. There is almost nothing as exciting as exploring the marine life in the Bahamas. The Blue Lagoon Island offers you an opportunity to meet friendly dolphins. If you take advantage of the Nassau boat rentals, you don’t have to pay for transportation to the swimming site. Take your children (6 or older) to see the dolphins as well. You can also meet some sea lions there. If you charter a fishing boat, you can enjoy the concentration of sea life to its fullest extent. Fishing boats have special equipment to help you with deep-sea fishing. Once you leave the Nassau Harbor, the exciting fishing adventure begins! Nassau Paradise Island is a perfect opportunity to take advantage of many different activities, such as scuba diving, snorkeling, and fishing. If you rent a boat, you can explore the island by water or you can dock and proceed to explore the land scenery of the island. You can snorkel the ruins of Atlantis or have a tasty cocktail at the pool. Paradise Island is located just a little north of Nassau. It was built specifically to accommodate all the wishes and desires of tourists, who love water activities. Nassau provides you with an opportunity to satisfy all your snorkeling cravings. Rich marine life and a variety of shipwrecks make water exploration truly exciting. Look for the remnants of Atlantis or meet a few stingrays. You are sure to remember the exciting time of Nassau snorkeling for the rest of your life. Since there is so much to explore under the water near Nassau, you can go on a custom scuba diving trip. Rent a boat with a captain or take charge of your own adventure, hire a scuba diving instructor and go on an unforgettable custom scuba diving trip. If you are a snorkeling fan, you mustn’t miss exploring the lost city of Atlantis. 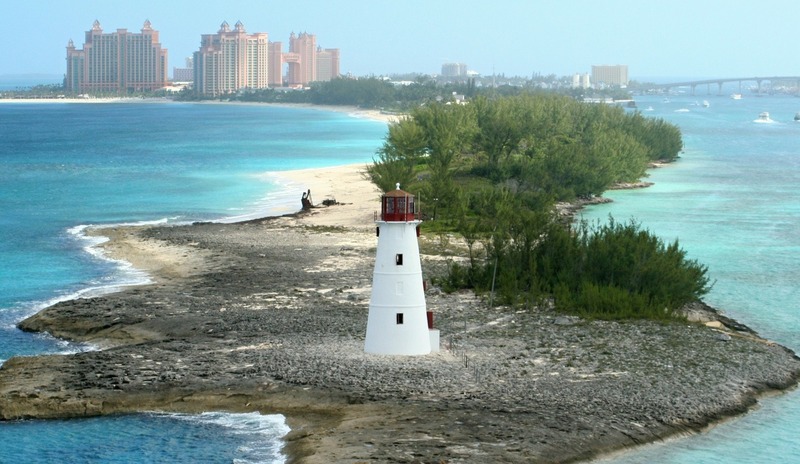 Just a little north of Nassau, you’ll find Paradise Island, which you can visit by boat. Bring or rent snorkeling equipment and snorkel through the Ruins Lagoon. Perhaps you can spot something unusual among the colorful fish and large rays. Blue Lagoon Island, which is also called Salt Cay, is one of the best opportunities for quiet family fun. It offers a variety of great beaches, an array of on-the-water Nassau activities, and great restaurants. If you rent a boat, you can get from Nassau’s historic harbor to Blue Lagoon Island in just 20 minutes. Colorful coral reefs and rich marine life are appealing to snorkeling lovers. Meanwhile, tourists, who love sun tanning and swimming, will appreciate white sandy beaches with large palm trees. Families with children will enjoy an opportunity to watch the dolphins and sea lions in their natural habitat. Swimming with the dolphins is an unforgettable activity. Every month, hundreds of cruise liners arrive at Nassau Harbor. If you rent a boat in Nassau, you can go close to enjoy the marina from the water. The variety of ships that dock at the harbor is impressive. Have fun looking at the most luxurious liners and small fishing boats. New Providence is a large island with a rich history. It offers tremendous opportunities for divers, who want to see something more than colorful fish and beautiful reefs. Shipwrecks are a great chance to explore something new under the water. A 45-foot tugboat hull is located at the western side of ‘shark alley’. 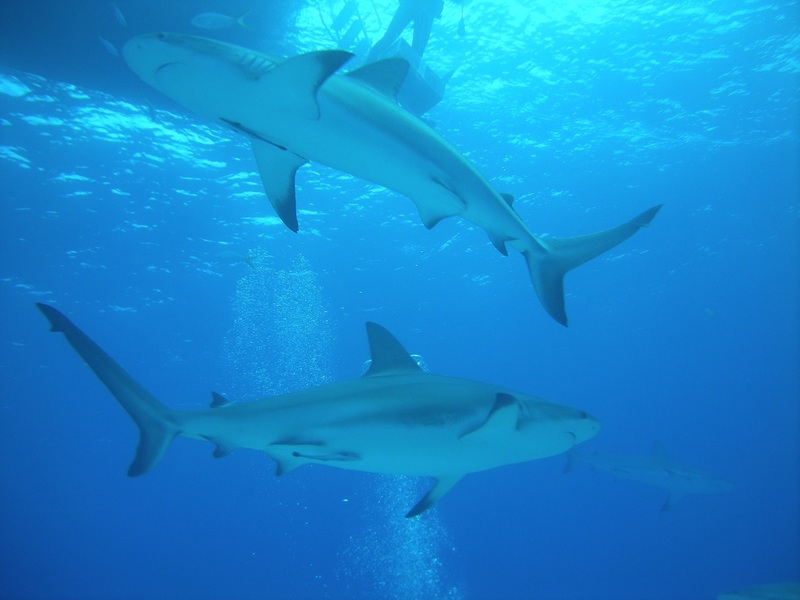 You won’t just become a real underwater explorer, you’ll get a chance to swim with grey Caribbean reef sharks and stingrays. Dean’s Blue Hole is considered to be the second largest blue hole in the world. The hole is 663 feet deep. The water inside the blue hole is very clear. On sunny days, the visibility can reach over 100 feet. While only professional divers venture inside the hole, many tourists come to look at this wonder from a distance. If you’ve never seen a blue hole before, this one can leave a grand impression. Located at Junkanoo Beach in Nassau, this restaurant is the perfect place for a quick lunch. While the menu doesn’t feature a huge variety of dishes, you can find enough munchies to satisfy your cravings. Jerks, fish, ribs, hamburgers, and fries are delectable while the daiquiris are truly awesome. The location of Tiki Bikini Hut is great for boat renters. You can enjoy the morning snorkeling at Junkanoo Beach and then have an outstanding lunch just two steps away. The price tag of this venue is also very appealing. Here comes another wonderful beach spot you’ll never forget. Located on Love Beach, this bar offers a variety of food and drinks for any hungry and tired tourist. The conch salad is marvelous and the club sandwich is mouthwatering. The drinks are always cool and refreshing. You can also rent snorkeling equipment and kayak gear at the bar so you get an all-in-one deal. Love Beach is not too crowded. You can spend the whole day there enjoying your favorite water sports and tasty food from Nirvana. This restaurant is located on Sandyport Beach. If you are planning to visit one of the most beautiful Nassau beaches, you’ll be pleasantly surprised with the dining options. This restaurant offers a great opportunity to try tasty seafood. The Bahamian conch chowder is truly delectable. The turkey burger and deep fried calamari are worth trying. The place serves great drinks as well. If you want to enjoy a relaxed atmosphere, chat with a witty bartender, listen to some good music, and try some amazing seafood, Blue Sail is a great place to visit. If you want to try high-end Nassau dining, Dune is a must-visit restaurant. Located on the oceanfront, this dining haven is open for breakfast, lunch, and dinner. The staff is polite and helpful, while the atmosphere is relaxing. No matter which table you choose, you’ll enjoy a truly marvelous view of the ocean. The fried calamari is delicious and the Cowboy steak is worth trying. The restaurant is also famous for delectable desserts. The Basil Panna Cotta is heavenly, especially when coupled with the special Bahamian rum. Dune is located at one of the beaches of Paradise Island. Do you want to try the freshest seafood and the totally unhealthy but amazingly tasty burgers? Green Parrot Bar and Grill is the place to dine. With a more or less moderate price tag, this Nassau dining option can become your favorite during the upcoming vacation. Delectable fish tacos and seafood linguine are bound to conquer your heart, especially if you order a cocktail. The restaurant is located near a pier so you can leave your boat and enjoy a wonderful dining experience under the sky. If you’ve never been to Senor Frog’s before, this is a wonderful opportunity to visit. If you’ve eaten at this diner in some other part of the world, you know it offers great quality food and tasty drinks. Try the conch fritters and margarita ceviche. And try not to pass on Senor Frog’s signature drinks. The atmosphere at Senor Frog’s is unforgettable. It’s designed to lift your spirits and give you an energy boost for the rest of the day or night. The staff is fast and friendly and the view is fantastic. If you love singing, you can take advantage of karaoke! These Nassau dining spots are bound to improve your mood, satisfy your cravings, and make your taste buds truly happy. Excellent dining is an important part of your next vacation in the Bahamas. Don’t pass it by!